Situated at the foot of the Anninger, Hotel Turmhof welcomes you with a relaxed atmosphere and attentive service. Close the door and open your eyes: welcome home! All the rooms at Hotel Turmhof have been furnished by the owning family and the hotel's architect with taste, an appreciation for practical extras and a great love for detail. Ideal for longer stays, the Turmsuite offers plenty of space to relax with 60 m². Enjoy the evening sun with a glass of wine on the secluded terrace with a view of the vine-yards. In the spacious Weinbergsuites, you can unwind to your heart's content. Two of our four tastefully furnished Vineyard Suites have a secluded terrace with a unique view. Whether to relax after a hard day's work or to continue working – our Comfort rooms leave nothing to be desired. Large beds, modern bathrooms and a desk provide you with every conceivable comfort. The beautiful hotel Turmhof is located above Gumpoldskirchen. 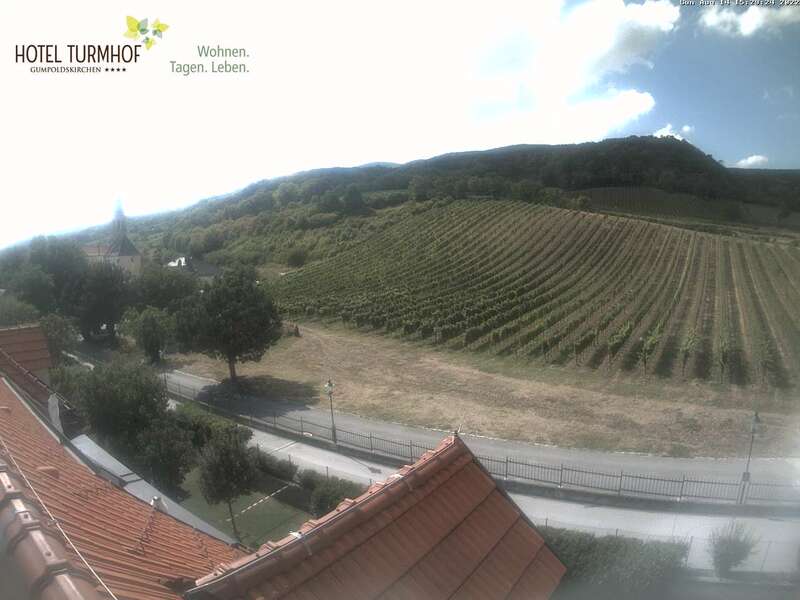 It has rooms with a view either overlooking Gumpoldskirchen or the vineyards. All wine taverns are within walking distance within a few minutes ... "
We were once again at this hotel. It was very nice again! Clean, very friendly staff, great breakfast, large rooms. Great area with many winemakers and easy access to Vienna and Baden ... "